Trust you all had a safe, healthy and happy Holiday Season. Last month I told you I had returned to aikido practice after a few decades interlude. Wife, children and business had, rightly, taken me away from the martial arts dojo. “To everything there is a season.” And now again is the season for the martial arts. The powerful movements are coming back. My body hasn’t forgotten. 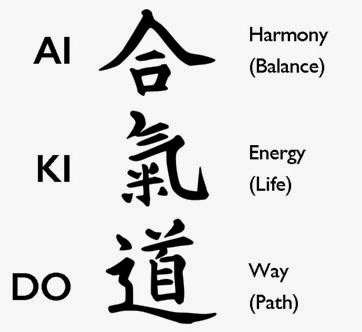 First, Lean and aikido, and the martial arts in general, are entirely congruent. Secondly, the martial arts teach humility, without which there can be no continuous improvement. A dojo is a daunting place. Every few minutes your face is driven into the tatami mat. You have to pick yourself up and attack again. You’re not as smart, tough, strong etc. as you think you are. The world is much bigger, tougher, stronger. Therefore, be humble, be kind, be resolute, and try to get better every day. Do we grasp this message in the Lean/Continuous Improvement community? Do we understand that mastery entails years of quiet, faithful, hard practice, with a capable sensei? Beware superficiality, beware easy answers, beware self-proclaimed experts. The most basic Lean concepts, such as Value or Waste, are as difficult to master as an aikido throw.